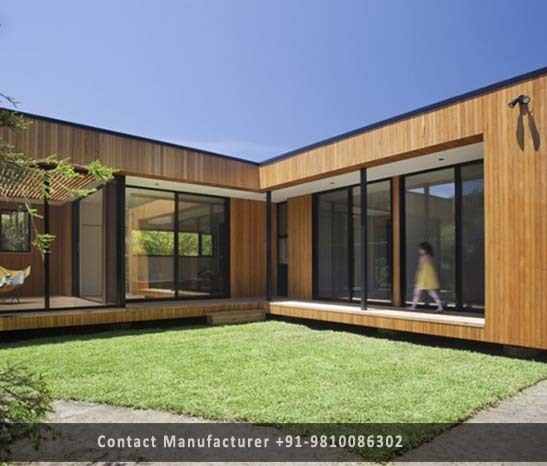 Modular Prefab Houses Manufacturer in Delhi, Modular Prefab Houses Supplier in Delhi, Modular Prefab Houses in Delhi. With the consistent focus on customer's satisfaction, our firm is dedicatedly engaged in offering a supreme quality collection of Modular Prefab Houses; beautifully designed Modular Homes in Delhi offered by us are precisely designed at controlled factory environments. The Unique design of these prefabricated homes minimizes the building time offering and quick construction, reducing the stress and also saves money. Thus, these offer an affordable solution for building efficiently and installed on permanent foundations or completed with the assistance of professional installers and products are highly needed for its attractive design and long lifespan. These products are available with us in different sizes at market affordable prices in Delhi.